The news jumped on Sunday in England. The owners of the richest club in the world are determined to change the surname of the position now held by Solskjaer: from interim to permanent . They no longer need to look for who returns greatness to Manchester United, because they have it at home. The Norwegian coach, hero of the Champions League won by the Red Devils at the Camp Nou in 1999, in that unforgettable comeback in extra time against Bayern, has been enough to eradicate the decline that Mourinho set in Old Trafford and return to put Manchester United in orbit. Tuesday's Champions League match against PSG, which has traveled to England without Neymar and Cavani , comes at its best in terms of games and results over several years. Since the change in the bench, just before Christmas, Manchester United is the best team in England. He has won 10 victories and a draw in 11 games, which has earned him to climb two positions in the Premier - from sixth to fourth - and to advance two rounds of Cup. In the nine league games he has led, United is the leader in points, victories and shots on goal and is the one that has received the fewest goals. Until the last day, was also the most goalscorers team in this post-Mou period, but the Manchester City 6-0 to Chelsea has made him go back, by a single goal, to the second position of that ranking. Numbers that pale before those obtained by Mourinho in the first 17 days of the Premier, as is clear in the graph that accompanies this report. What has changed in such a short time? Except the template, basically everything. For starters, Mourinho's relationship with much of the costumes had become toxic over time - a Portuguese classic - especially with stars like Paul Pogba , who has gone from scoring two goals in 14 games from the Premier to eight in nine. But there is not only an emotional explanation, there is also football. Faced with the ultraphysical proposal of Mourinho, Solskjaer has removed the shackles to the best technically gifted players. The gap formerly occupied by Fellaini -transpassed to China after the departure of Mou- now takes over Ander Herrera ; instead of Lukaku , the center forward is Rashford , another who has improved his numbers in front of goal (two to five goals); Players of powerful physicists like Smalling , Fred or Alexis Sanchez have lost prominence in favor of Phil Jones , Lingard or Martial . Only De Gea , Young -who renewed his contract this Monday-, Shaw and Matic keep their hierarchy intact. "We feel more comfortable with their style of play. Hopefully I can continue, although it does not depend on us, "Martial said. "He's getting the best out of Pogba, Rashford, Martial, Lingard ... 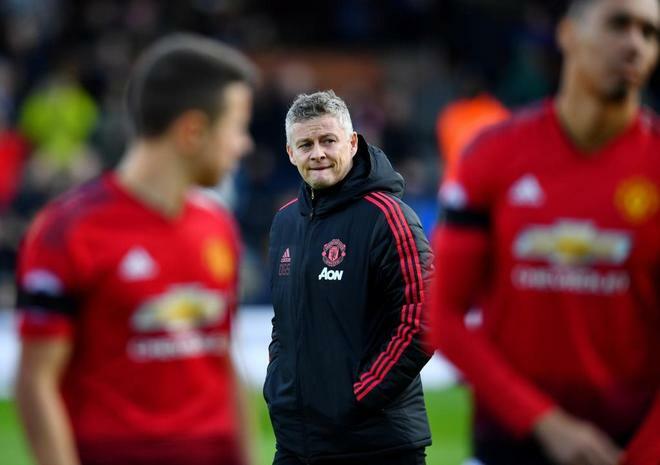 Sometimes we talk a lot about tactics, when the hard part is getting the best performance from the players, which is what Ole is doing," Herrera pointed out. some days ago. Manchester United is again a fearsome opponent. Life is beautiful with Solskjaer. And without Mourinho.